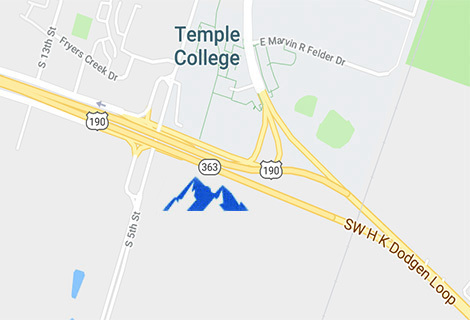 Everest Rehabilitation Hospital of Temple is an all-inclusive inpatient rehabilitation facility that will feature 36 private rooms creating an environment focused on individualized care. Patients at Everest will receive compassionate care from our therapists, nurses, and staff while utilizing the latest in robotic rehabilitation technology. The hospital will service all hospitals and patients in Temple, Killeen, Harker Heights, Ft. Hood and the surrounding Central Texas areas. Our goal at Everest Rehabilitation Hospital of Temple is to provide patient centered, patient focused care enabling patients to return home to their loved ones.